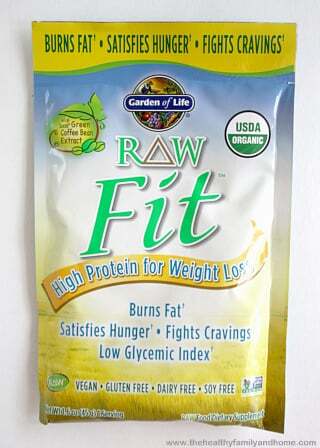 I first saw the Garden of Life “Raw Fit“ individual serving smoothie packets at Whole Foods and grabbed one to try because I am a big “Garden of Life” fan. 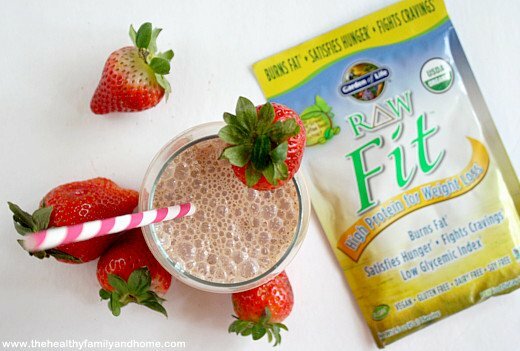 I use the Garden of Life “Raw Protein” and Garden of Life “Raw Meal Replacement” interchangebly on a daily basis. What I like most about them is that they are organic, raw, vegan, dairy-free, soy-free and have a sprouted protein blend. 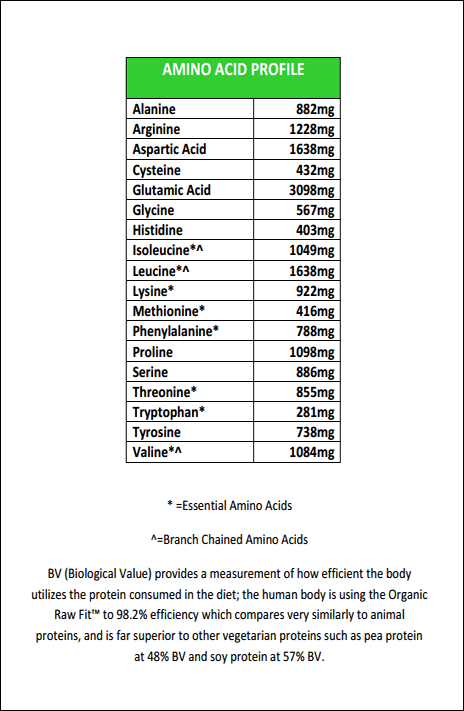 I like to add combinations of different things when I make my smoothies like raw maca powder, raw cacao, hemp seeds, Udo’s 3-6-9 DHA Oil, hemp oil, chia seeds, fermented cod liver/butter oil, probiotics, coconut oil, etc. 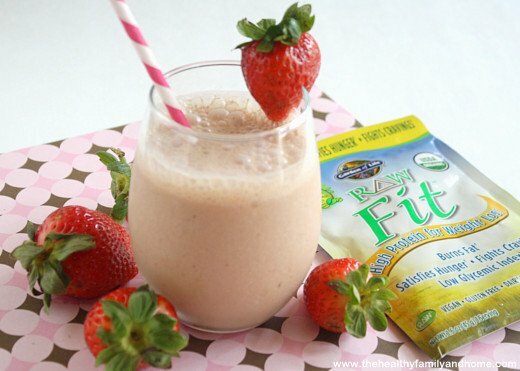 But for this smoothie, all I added was fresh strawberries, homemade almond milk and “Raw Fit”. The other great thing like about it is that it has less than 1 g of sugar and only 8 net carbs, which is important to me because I’m trying to limit my consumption of sugar. Needless to say, it was WAY WAY WAY cheaper to buy online from Amazon than from Whole Foods. 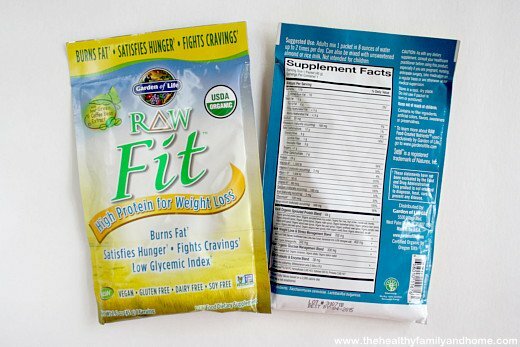 The same sized container was $49.99 at Whole Foods and $28.19 at Amazon with free shipping. 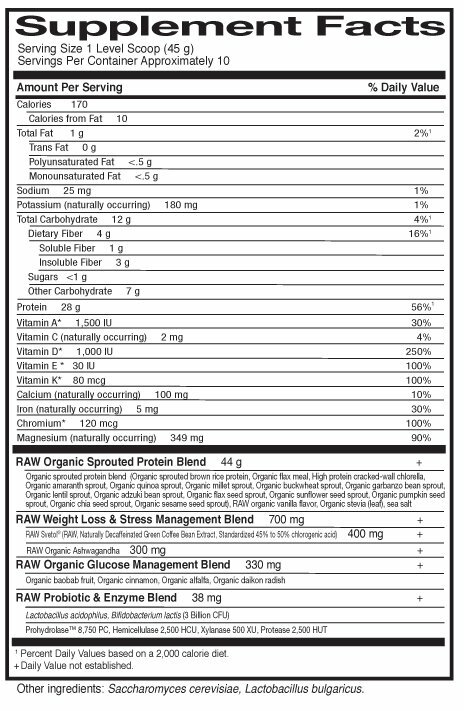 I love Whole Foods, but unless I’m in an emergency situation and need something that I can’t wait a couple of days for, I never buy my nutritional supplements there because they are so much more expensive than buying online. 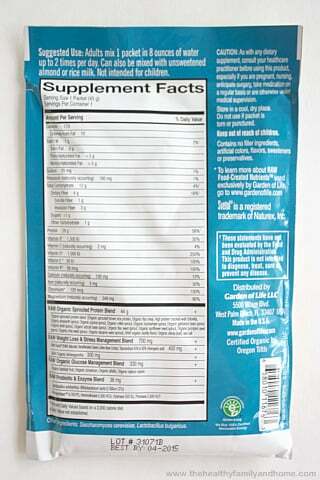 Tip #1: If you have never tried one of the Garden of Life protein supplements before, they have a slight chalky/grainy texture to them, which doesn’t bother me…but just letting you know. Tip #2: I used homemade almond milk to make mine, but I’m sure any other type of milk would be fine. The directions say you could even use just plain water too. 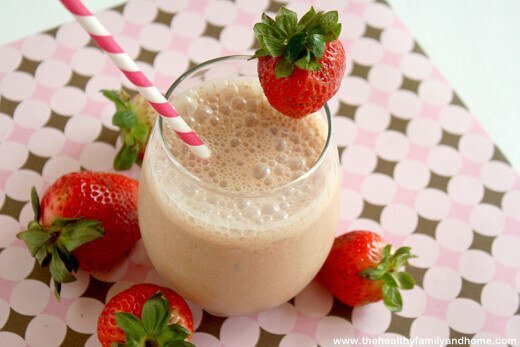 Tip #3: I used strawberries but you could make the smoothie with another type of fruit (blueberries, peach, bananas, etc) or even without fruit. Step 1 Put all ingredients into a Vitamix and blend until smooth and well combined.